The Fletcher Building is the new Art and Design Centre which forms the centrepiece of the £136 million Campus Transformation Project which will, when complete, provide DMU with one of the finest campuses in the country. Work is currently underway on site with the centre expected to open in 2016. The P4 Fastel Link system will enable the University to monitor the entire emergency lighting installation via any PC, laptop, tablet or smart phone. This Fully Automatic Self Testing Emergency Lighting (FASTEL) system will continuously scan the whole installation and gather information about every luminaire, reducing risk, ongoing maintenance time and cost. 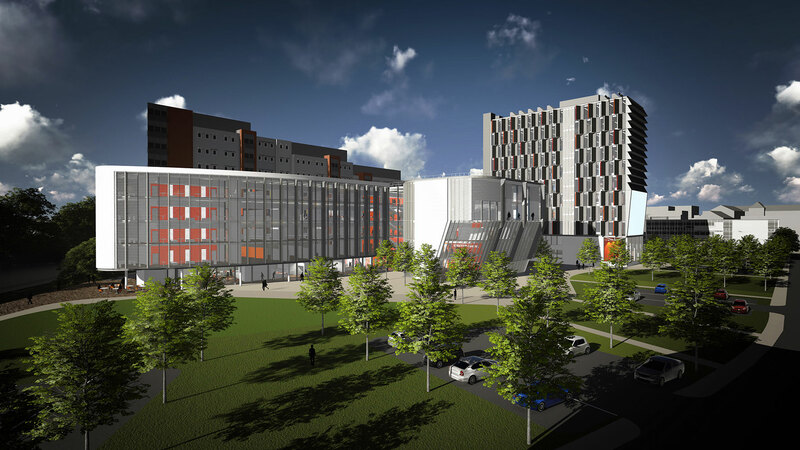 Referring to the P4 systems already installed in a number of buildings at De Montfort University, Michael Jelley, Principal Mechanical and Electrical Engineer, Estates and Commercial Services at the University stated “P4 has exceeded our expectations, setting and maintaining the highest standards at all times”.